CIVAL Collective is privately owned jewelry label run by creatives – Danielle LaVigine and Rachel Frye.Their designs are conceived, created and shipped from their studio in Milwaukee, WI. 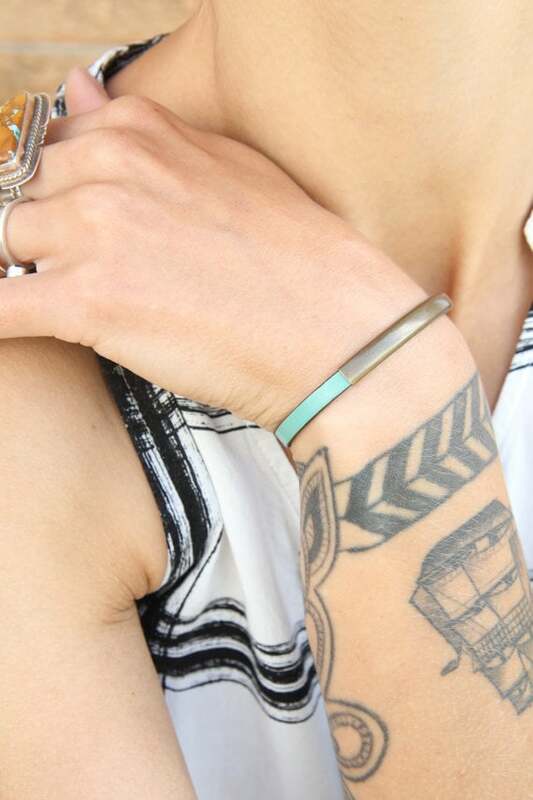 They create striking and balanced geometric jewelry that doesn't try too hard, and gives you effortless style. Designer and self-taught jeweler, Rachel Frye has worked in many creative mediums throughout her life, so making jewelry came about naturally but almost by accident. The original designs were born out of a love for found objects and a desire to give them new life. This eventually led to the desire to create her own simple and easy to wear unique objects, and in 2013 CIVAL Collective was born. Teaming up with creative business savant Danielle LaVigne, the two make a cohesive line of contemporary well crafted accessories in brass and leather with a focus on function and form. Finding inspiration from many traditional aesthetics, including vintage textile patterns, geometric forms, and strong architectural lines. Right now Rachel is listening to the Avett Brothers, and Danielle loves Father John Misty.